Istria’s east coast is less traveled and developed than Istria’s west coast. The landscape is rugged, the coast is rocky, and the landscape has many pine-covered mountains. While it may not have the appeal of Rovinj and Porec, the towns of Labin and Rabac have their own unique charms. - Krsan: Krsan is an old medieval fortified village. It is best known for the Krsan castle and the Survey of Istrian Land Boundaries (Istarski Razvod) that dates back to 13th century. While at Krsan, you’ll also enjoy gorgeous views of Ucka. - Rasa: Unlike other historical towns in Istria, Rasa is less than century old and is the youngest town in Istria. Rasa was built by the Italian government, starting in August 1936 and completed in 1937, as a coal mining town. From 1943 until 1945 it was occupied by Germans and had a population of over 10,000 inhabitants. Mining activities ended in 1989. - Plomin: The last stop in Istria before reaching Kvarner region is a somewhat empty town with great views of Kvarner Gulf and Cres Island. 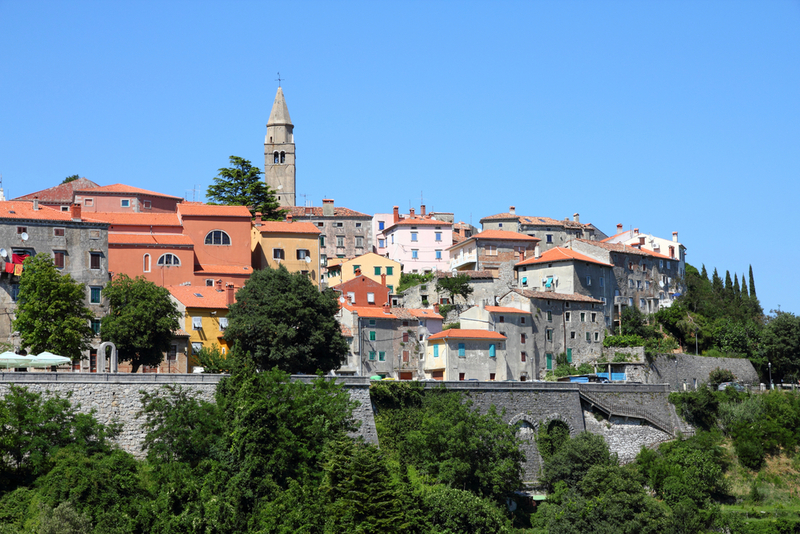 The earthy town of Labin stands proudly above Rabac, overlooking the bright blue waters of the Kvarner Gulf on the east coast of Croatia's Istrian Peninsula. Looking back 2,000 years, the castellum of Kunci occupied nearly that same space during the Bronze Age. 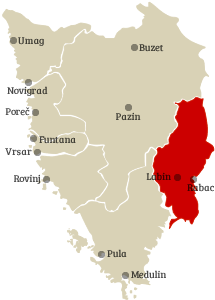 Around the fourth century BC, the Celts founded Albona upon the ruins, carrying the name forward to a third century Roman relief announcing "Res Publica Albonessium," the Roman Republic of Albonia. The town earned the title of a republic once again during its history, as coal miners from the area's four mines went on strike in 1921 forming what was termed an "anti-Fascist rebellion". Today, the mines are all closed but the spirit of the town continues to inspire independence. Contemporary Labin is a hub of nature, from its hiking trails and beautiful hillsides, to its art galleries, natural bath product shops, artisan bakery and cheese shop, to its health spas and locally sourced homespun restaurants that serve various delicacies, including the local specialty krefi (sweet and sour ravioli). It is a town engaged with nature in every respect, looking to earn a reputation as a place of health and wellness. - Hilltop Old Town: Enjoy a delightful stroll through the streets and beautiful coast below. - Chruch of Blessed Mary Virgin’s Birth: Built in 1336 with foundation from 11th century. It has both Renaissance and Gothic style. - Town Museum: Local and national artwork housed in the Battiala-Lazzarini Palace, a Baroque-style building. - Porta Sanfior: Main city door from 1589; memorabilia of mixed Venetian and Austrian administration. 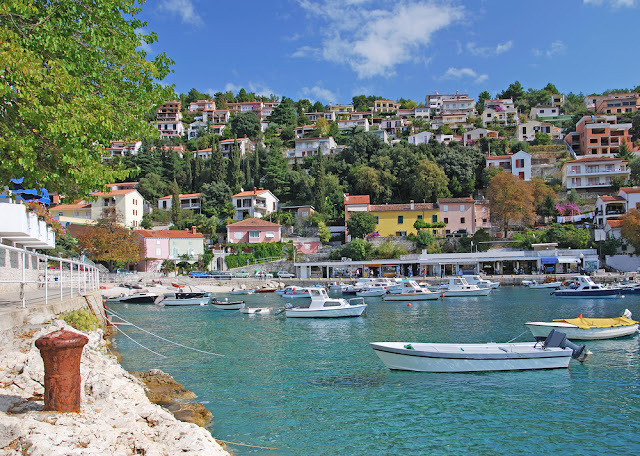 - Diving: Go diving in nearby Rabac. - Glavani Park: Fun and adventure for families. - Nearby Towns and Villages: Visit nearby Barban, Trget, and Stari Rakalj for a great view of Raski Bay and Island Cres. Also visit Rasa, a former mining town that ceased its mining activities in 1989. - Accommodation: Zahtila Apartment, Villa Venera, B&B Morena, B&B Rogocana, Villa Calussovo, and Villa Stefanija. - Beaches: Lovely pebbly beaches with view of Kvarner Bay. - Music: Numerous music events and festivals are held in Rabac during summer. - Rabac Summer Festival: Music festival with international DJs taking place in July on Girandella Beach. - Morning town walks: Catch the fishermen returning from the sea. - Nature: Beautiful and well-preserved nature. - Boat Tours and Fishing Tours: The coast around Rabac is stunning. You can take boat tours to caves, hidden bays, and Cres island. - Four Elements Art of Adventure: Sea kayaking, water sports, and mountain biking. - Diving: The coast has many ship wrecks, colorful reefs, and marine life to explore. - Accommodation: Valamar Bellevue Hotel, Miramar Hotel, Casa Valamar Sanfior, Hotel Mimosa, Adoral Hotel, Mare e Monti, Hotel Villa Annette, and Casa M Apartments. Additional information about Labin and Rabac is available at Rabac-Labin Tourist Board. This concludes the section of the major towns of Istria and their top attractions. If you’re staying in Istria for an extended time, you might also want to explore some of the smaller towns in Istria that were mentioned in the book but not covered extensively. Additional information about all towns of Istria and brochures that you can download can be found at the Istria Tourist Board.